American Journal of Health Promotion « They Said What? Why do employee wellness industry leaders hate employees so much? September 30, 2016 7:35 am / 2 Comments on Why do employee wellness industry leaders hate employees so much? I would like to express my gratitude to the editor of the American Journal of Health Promotion, Michael O’Donnell. He recently decreed that “despite common lore, I am not an idiot.” Coming from a man brilliant enough to singlehandedly create entire alternative universes of arithmetic and statistics, “not an idiot” is mighty praise indeed. I’m unsure exactly what “common lore” he is disputing, unless he means that the Phi Beta Kappa committee at Harvard also thinks I am an idiot, relatively speaking, because they snubbed me until I was a senior. I will return the compliment. Michael O’Donnell is not an idiot either. Quite the contrary, he and his Koop Committee buddies knew exactly what they are doing when they gave their friends at Wellsteps awards for harming employees. Bottom line is, these people simply hate employees, and happily throw them under the bus whenever it’s profitable to do so. While Boise is a great example, Penn State still reigns supreme. While we could write a post about almost any member of that Committee, this post focuses only on one member, Mr. O’Donnell. Still, it’s hard to dislike the man given all the kudos he throws my way. For instance, in addition to not being an idiot, I am also praised above as: “close to being accurate.” Since we disagree on everything, he is therefore acknowledging that he himself is many light-years from accurate — as Wellsteps and every other Koop award demonstrates. Michael O’Donnell also said, as you can see above, that I am not a “misanthrope.” However, in this case, I can’t return the compliment. His new editorial is a misanthropic anti-employee jihad. First, he says prospective new hires should be subjected to an intrusive physical exam, and hired only if they are in good shape. OK, not every single prospective new hire — only those applying for “blue collar jobs or jobs that require excessive walking, standing, or even sitting.” Hence he would waive the physical exam requirement for mattress-tester, prostitute, or Koop Committee member, because those jobs require only excessive lying. Second, he would fine people for not meeting “outcomes standards.” In an accompanying document, he defines those “outcomes standards.” He specifies fining people who have high BMIs, blood pressure, glucose, or cholesterol. Finally, he wouldn’t hire smokers at all, because they are so unworthy and untalented. Meaning Humphrey Bogart never should have been cast in Casablanca. Ernest Hemingway and George Orwell should have piled up rejection letters. Roger Maris should get his asterisk back. * Rihanna, Simon Cowell, Adele, Brad Pitt, Obama, Churchill, Einstein. Sinatra, Twain, Kidman. Sheesh! I agree with you, Michael. What a bunch of losers. 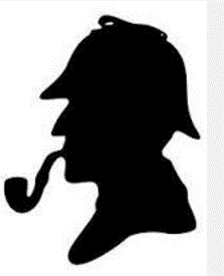 And thank goodness Watson didn’t smoke or Moriarty would likely still be at large. Almost every nonsmoker would be caught in his dragnet too, as he would “set the standard for BMI at the level where medical costs are lowest.” Since people with very low BMIs incur higher costs than people with middling BMIs, Mr. O’Donnell would fine not only people who weigh more than his ideal, but also employees with anorexia. If employees didn’t already have an eating disorder, what better way of giving them one — and hence extracting more penalties from them — than to levy fines based on their weight? Hopefully, he would allow people with wasting diseases like cancer to appeal their fines. Employees above his ideal weight would pay per pound, sort of like they were ordering lobster or mailing packages. He claims that all these fines will “enhance morale” for employees, whether they like it or not. How would Michael defend his anti-employee jihad? The Wellness Ignorati don’t engage with me, for obvious reasons given their self-immolating comments when they do. So I’ll provide his rebuttal. It would be, as he said in the first screenshot above, that I am once again “creating controversy where it does not exist.” Clearly, his editorial and white paper are mainstream, and I’m just causing trouble again for no reason. Michael wonders why, in his own words (echoed by Ron Goetzel), 90% to 95% of wellness programs fail. He says it’s because employers don’t spend remotely enough money on them. He recommends up to $300/employee/year…and what better way to reach that spending target than to make them go to the doctor, and set up expensive weigh-ins, inspections and fining procedures? While Michael O’Donnell may not be an idiot, I’m not sure I could say the same about any CEO who takes his advice. Since ROI wasn’t working, they then tried value-on-investment (VOI), which turned out to show even greater losses than a straight ROI calculation. Continuing that tradition, Michael O’Donnell of the American Journal of Health Promotion presents: Return on Allocated Resources, or ROAR. ROAR counts everything, including productivity. By counting everything, ROAR shows far greater losses than VOI. How did he accomplish this sleight-of-hand, where a 1% increase in productivity practically offsets a 3.75% decrease? Simple: by putting both thumbs and every other appendage on the scale. He accounts for lost work time at an employee’s hourly rate. So far so good. However, he then applies a magic multiplier to the hourly rate to calculate increases in productivity based on hypothetically enhanced corporate revenues due to the productivity increase. So if payroll is 30% of revenues, and productivity climbs 1%, then revenues would also automatically climb 1%. That means in dollar terms revenues climb more than three times faster than productivity. Had he used the same revenue multiplier for the certain 3.75% productivity decrease due to wellness-induced lost work time that he used for his speculative 1% productivity increase, his time-off-for-wellness scheme would cost a whopping $7143/employee/year. And wellness vendors wonder why line managers are so reluctant to allow employees to work out on company time. So while per-employee losses from wellness based purely on added healthcare spending and program expense are “only” in the three figures, the net reduction in productivity from a (speculative) 1% increase less a (certain) 3.75% decrease due to lost work time amount to a mind-boggling $5210/year. And that is probably an understatement. The 3.75% lost work time due to wellness doesn’t include the time employees spend changing clothes after their workouts, lying on HRAs, standing in line to be screened and “coached,” complaining to HR that they haven’t received their incentive checks yet, and hanging out at the water cooler dissing the program. If you’re keeping score at home, this is the third time Michael O’Donnell has strayed off message. Just like some people are convinced that Donald Trump is a closet Democrat trying to torpedo the GOP, you would be excused for thinking that Michael O’Donnell is a member of our Welligentsia group, trying to sow chaos amongst the Wellness Ignorati. He isn’t, but nonetheless I count him among our greatest assets. First, he admitted that up to 95% of wellness programs don’t work. Then he admitted that studies done using randomized control trials lose money. And now this one, detailing — using his own math — by far the greatest losses that a wellness metric has ever shown.